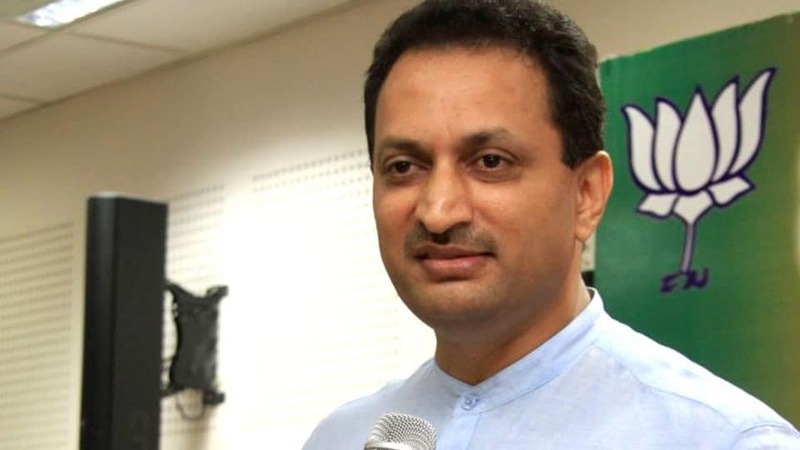 An Open Letter to Anant Kumar Hegde Sahi: 'Sahanadharma' ('Religion of Tolerance') ought to exist within religion as well as between different religions. It is frightening to have to listen to the words you have spoken at Kuknoor in Yelburga Taluk. 'Those who are unaware of their parentage are the ones who call themselves secularists' you say deridingly. Now we have to make you aware of your own parentage - It is hatred that is your father, intolerance your mother, illusion your ancestry, falsehood (Mithya) the source of your knowledge. I think this should be enough. What hurts me even now, whenever I remember it, is AB Vajpayee, BJP's leader, being in an insensate state. Similarly, George Fernandes, a part of the NDA and who comes from a socialist background, is also in an insensate state. It then seems that precisely because leaders like these are not active in your party today that the present BJP and the NDA has sunk so low, ending up making such senseless and irresponsible statements. And then another statement of yours - 'Every human being is an animal when he is born but it is what he does that makes him a human being'. In your case it somewhat feels quite the opposite. Even amidst the din you make, I would request you to pay attention to Kuvempu's concept of 'being the universal human at birth itself'. Furthermore, your knowledge of history is so polluted. You say that the deformity called caste has grown in recent times. Notice, you say 'in recent times'. In that case which era's caste would you want to look at? That of the Peshwas? At the time of the Sepoy uprising, if the British were to lose in their war against the Peshwas then Peshwa rule would end up creating hell for marginalised communities. This reality was acutely felt among conscientious members from these marginalised communities including Jyotiba Phule. What is this? Why so? If you understand this, you will understand India. Then, like sounding a battle cry on from a battlefield, you say 'We will change the constitution.... that is why we are here'. If the task of drafting the constitution had fallen into the hands of the likes of you, your ancestors, the illusionists, would have created hell and called it heaven. Mother India survived precisely because Dr. Ambedkar drafted the constitution. Care should be taken to ensure that constitutional amendments move in the direction of the constitution's preamble. It would bode well for you to remember this especially as a member of parliament. Recently, there has been some news that has been circulating widely. In case the BJP comes to power, in Karnataka, the Vibhuti-across-his-forehead-Yeddyurappa would end up with the mark of the Vaishnavite tilak (Urdhva Pundra) and have a shell and gong placed in his hands while Anant kumar Hedge will himself become the chief minister, says this news. If you look at BJP's Delhi - Nagpur lagaami politics, this could actually happen. And if this were to happen there is utter dread that you will make Karnataka a graveyard. It might then even feel like Yeddyurappa might have just been better. Instead, the wise voter may decide that if this were to happen, with whoever at the helm, they will make sure the BJP lose their electoral deposits. I believe that. Because our Mythology and History has consistently curbed the crossing of limits. Now, a few words for you - religious fundamentalists who were rattled by Kuvempu's rationality kept responding abhorrently to him. Kuvempu disregarding all this says - 'Those who enter the wrestling ring ought to wear a loincloth. I will not battle with those who don't even wear one.' I would ask you to keep these words by Kuvempu with you. Maybe then you, and the likes of you, who make the streets your battlefield, could save yourselves some honour. Once, while Yogendra Yadav, Swaraj India's president, and I were discussing the word secularism, he said, “There is no proper translation in India's vernacular languages for the word secularism. Instead of translating, we need to search for a word from amongst us that is its equivalent. In India, Dharma is usually understood to mean duty and words such as Vrittidharma (duties towards one's profession), Rajadharma (duties of the king), Putradharma (duties of the son) are born from that very meaning. “Can you find a word?" he had asked. Just like the way plants absorb muck producing fruits and flowers, the muck of your speech transformed itself birthing a new word for secularism. That word is 'Sahanadharma' ('Religion of Tolerance'). This 'Sahanadharma' ought to exist within religion as well as between different religions. Having found this word because of you, Mr. Hegde Sahib, I thank you.